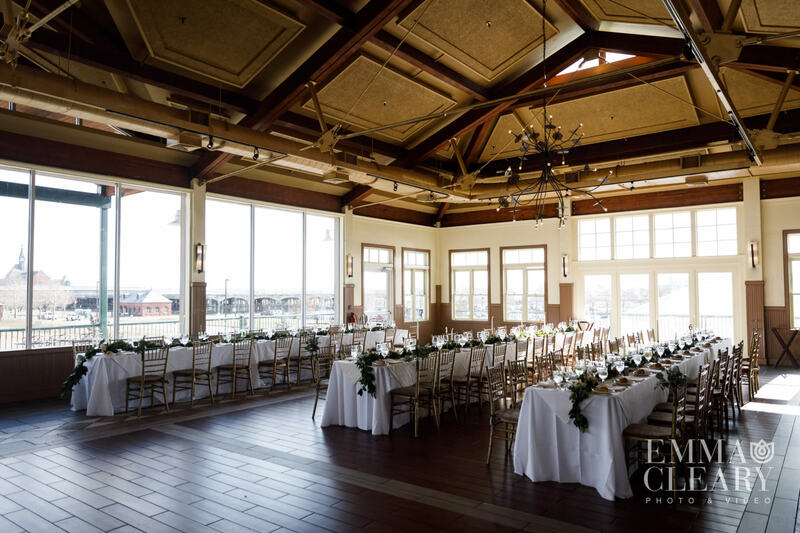 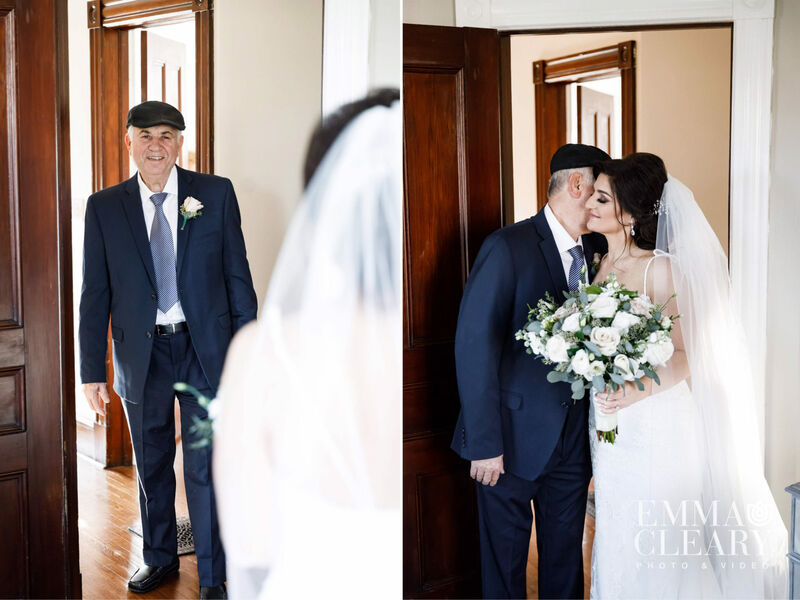 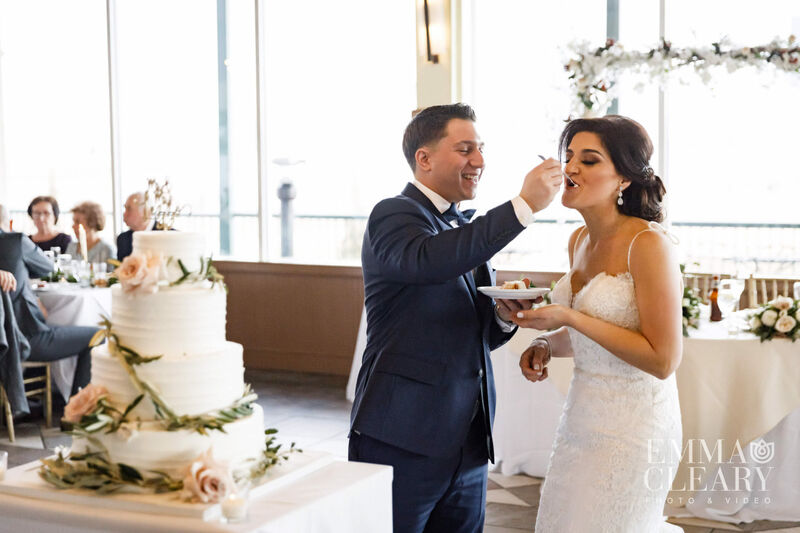 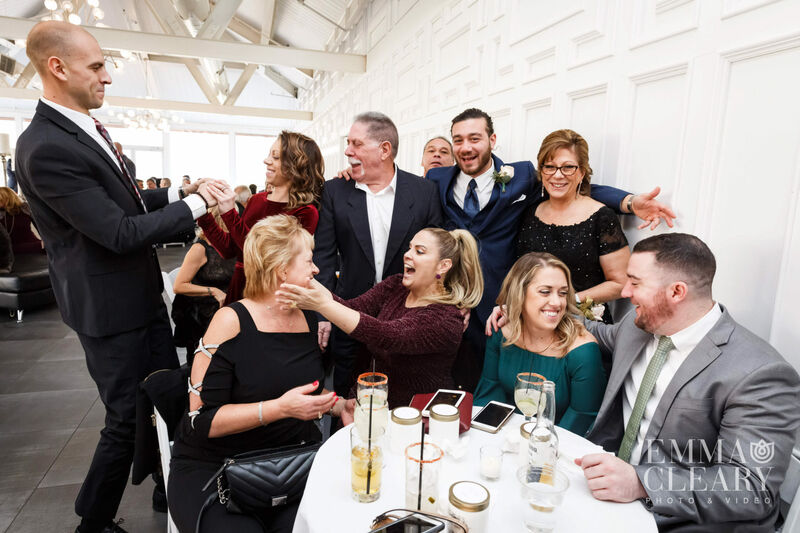 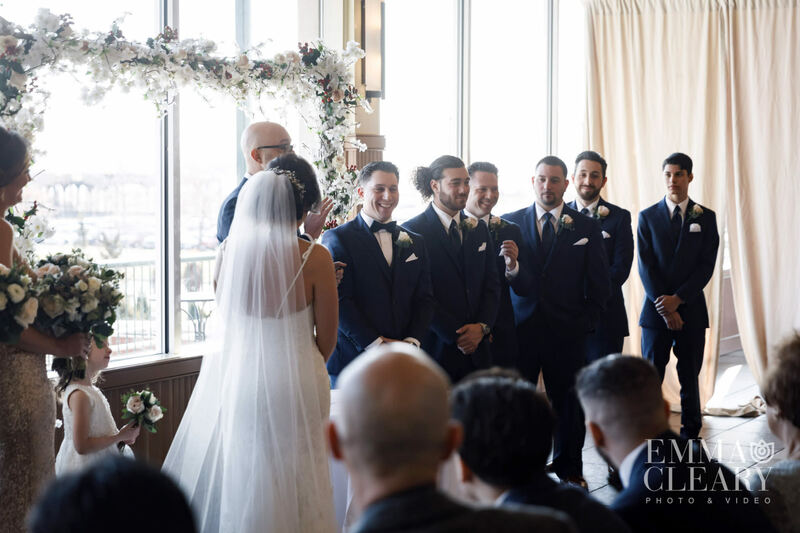 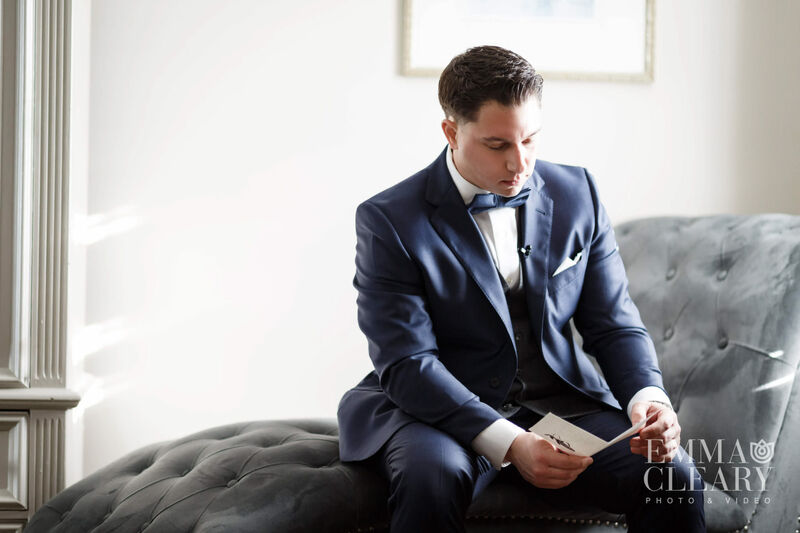 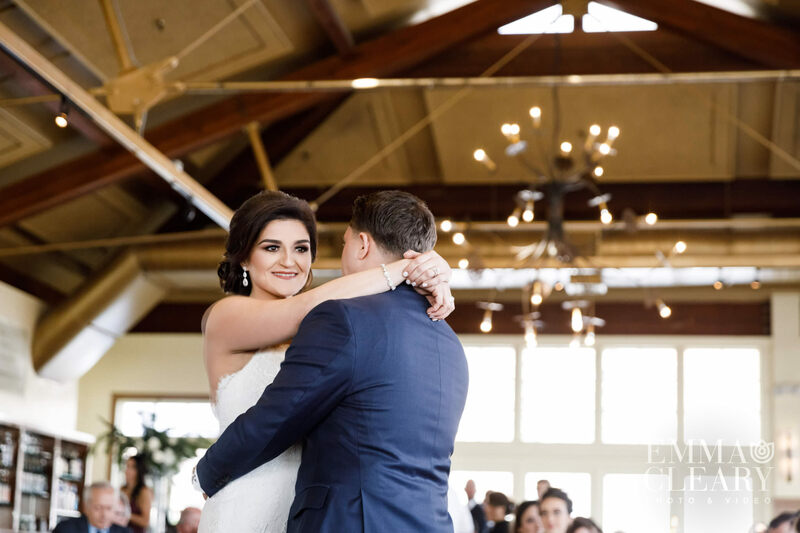 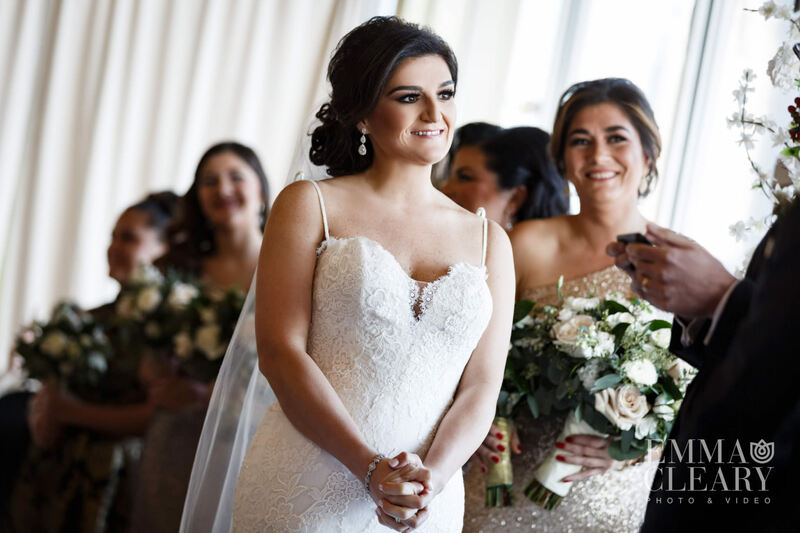 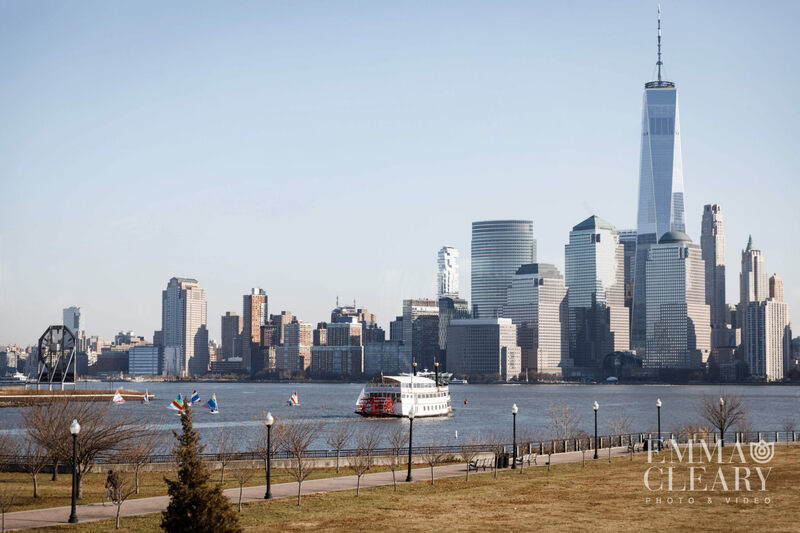 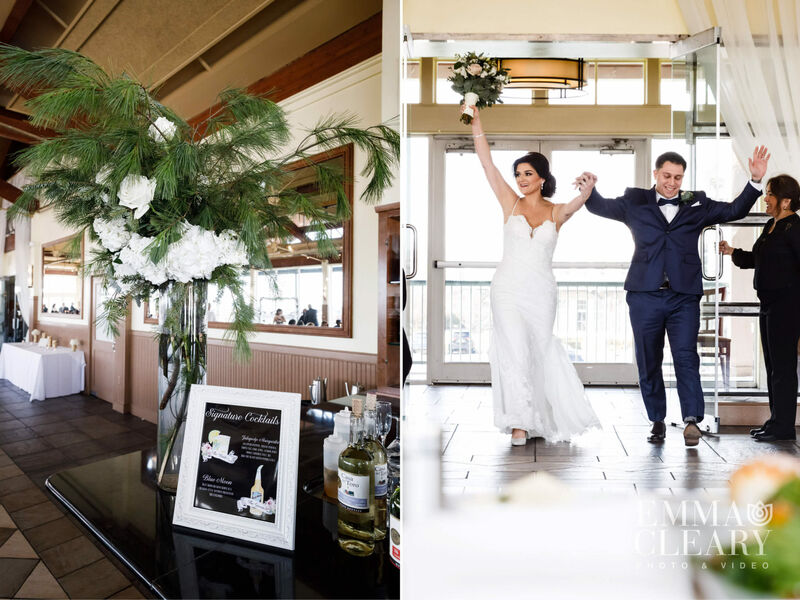 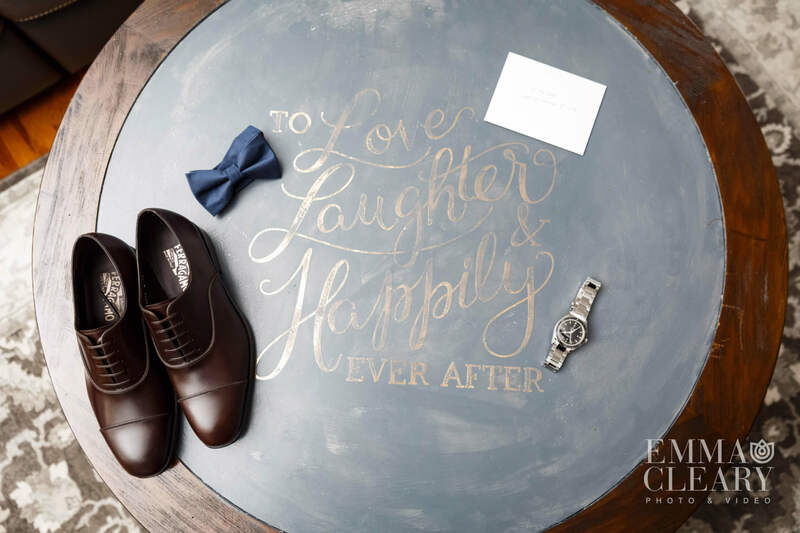 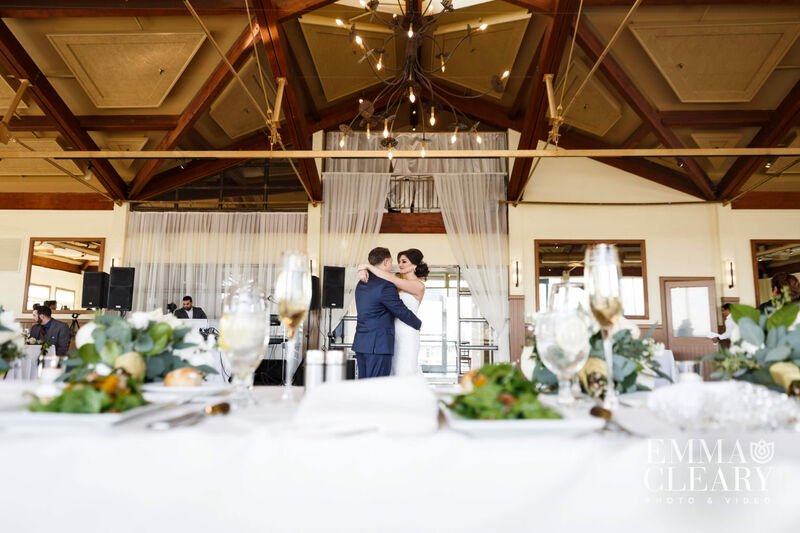 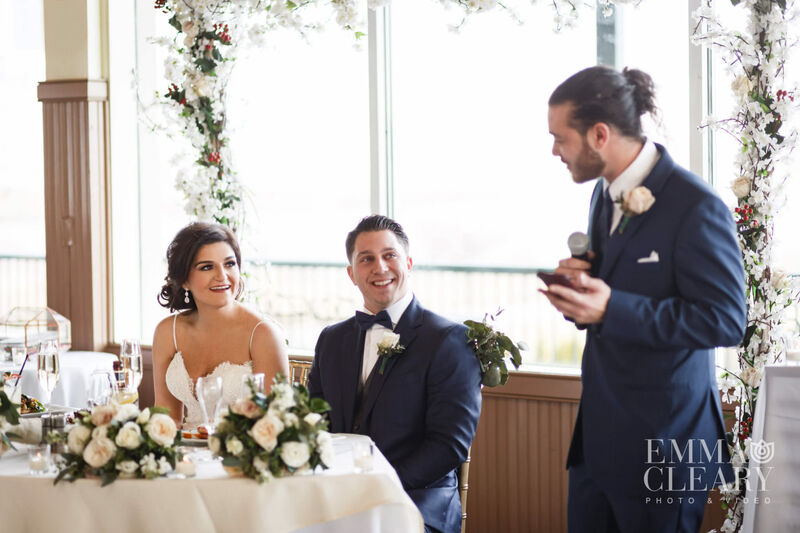 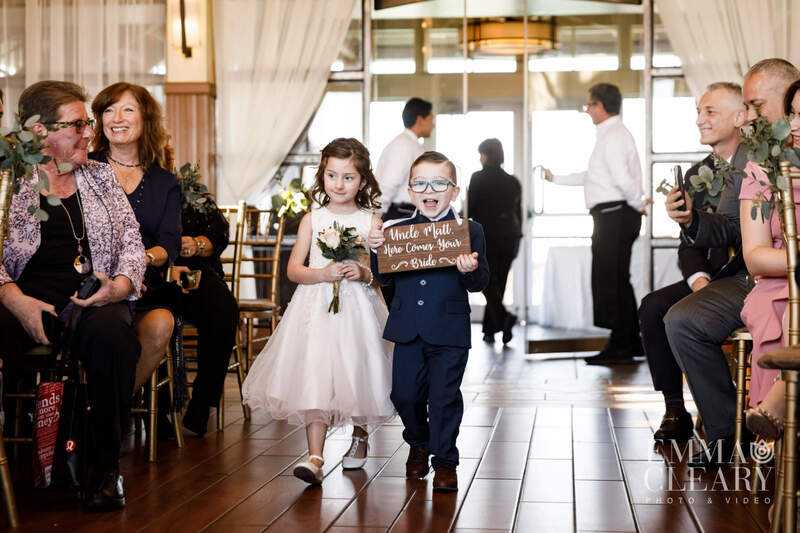 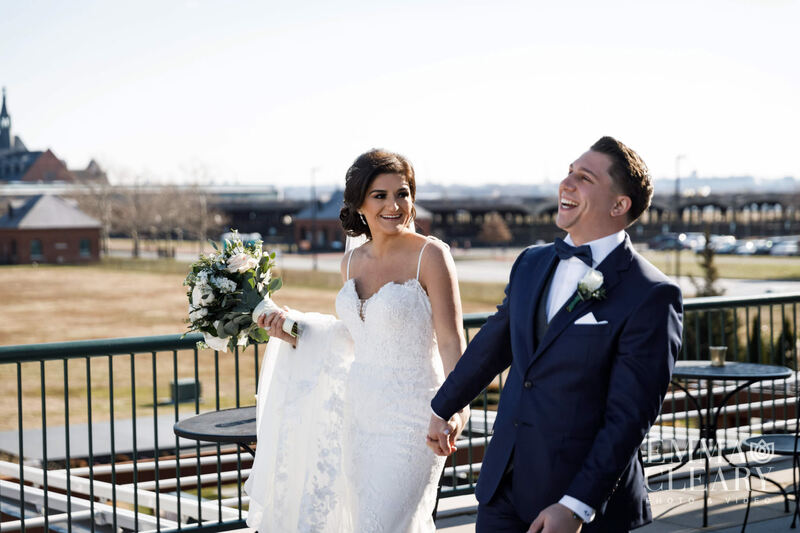 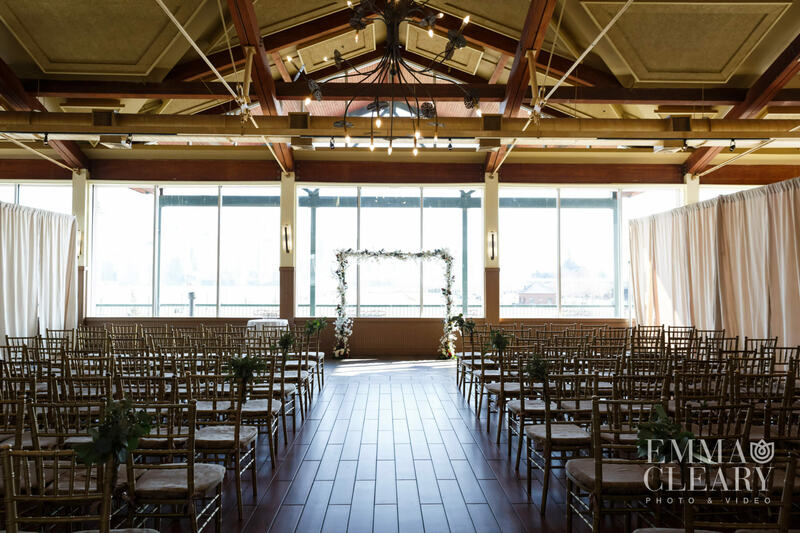 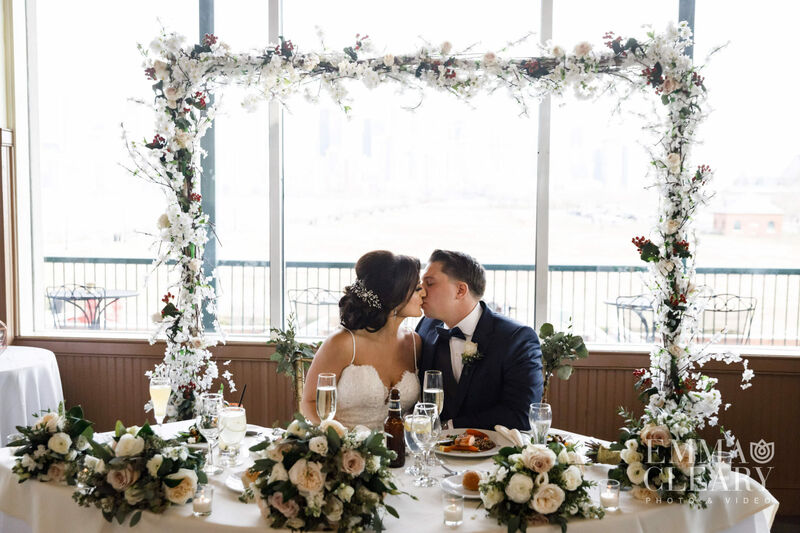 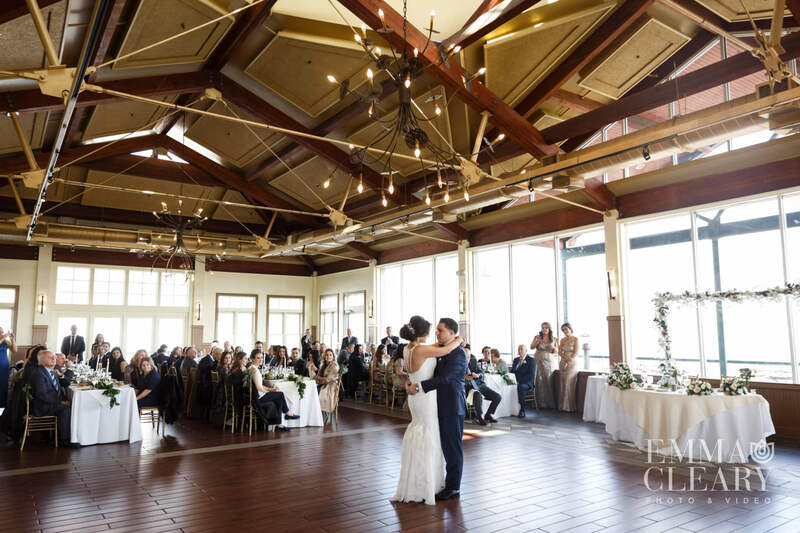 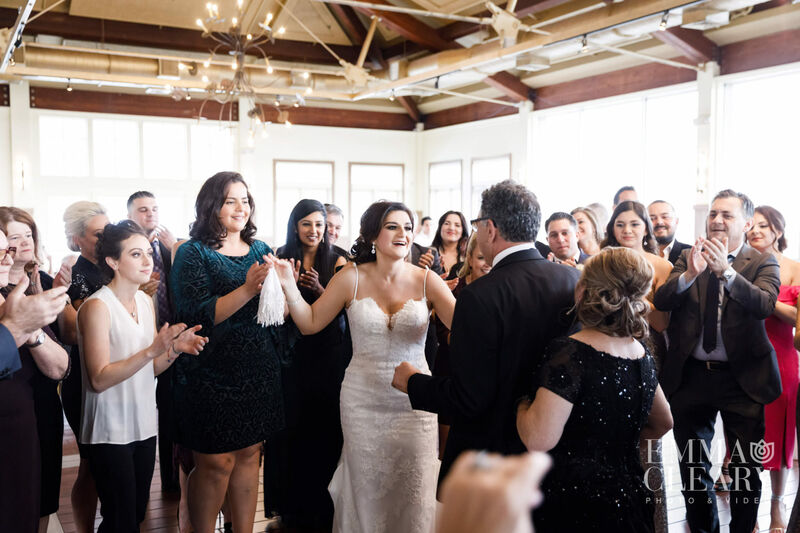 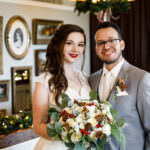 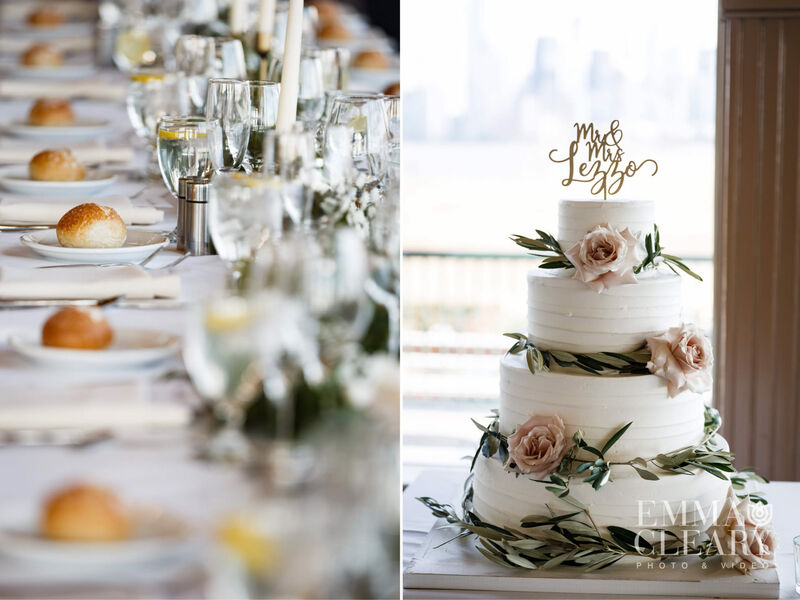 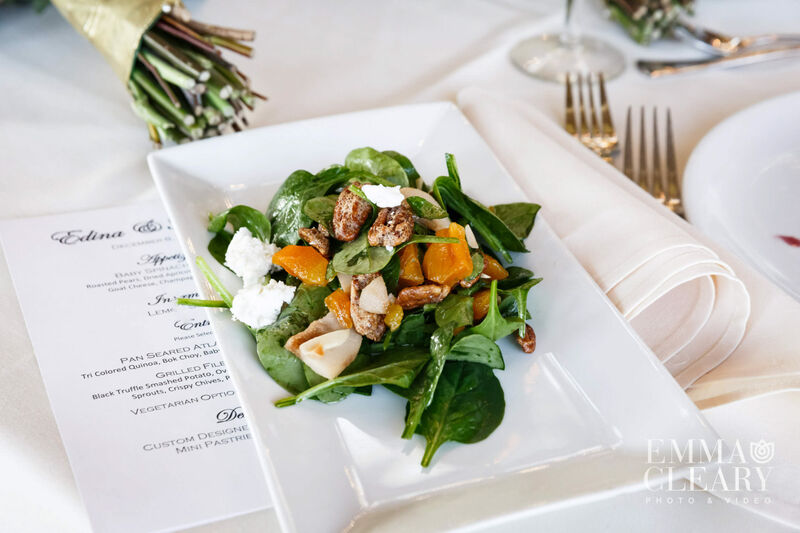 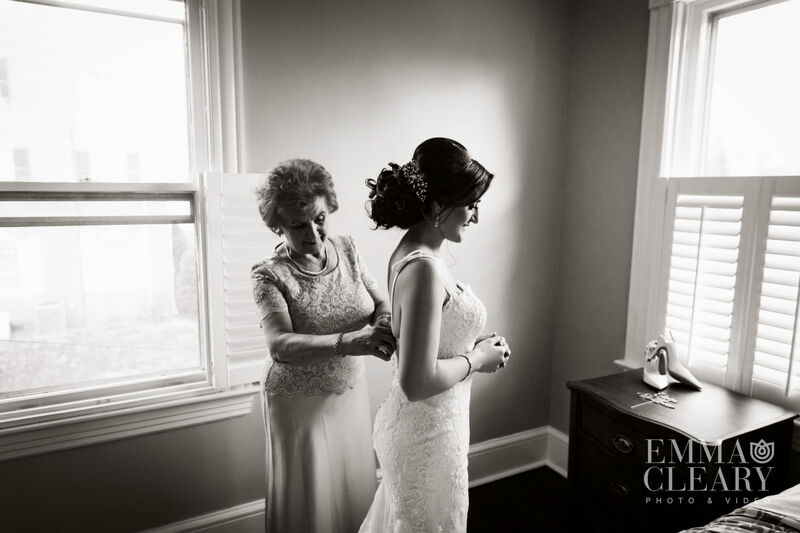 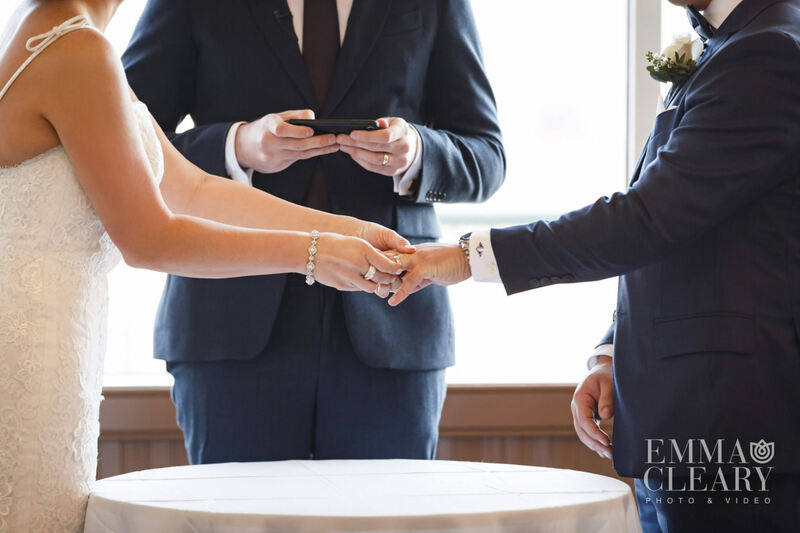 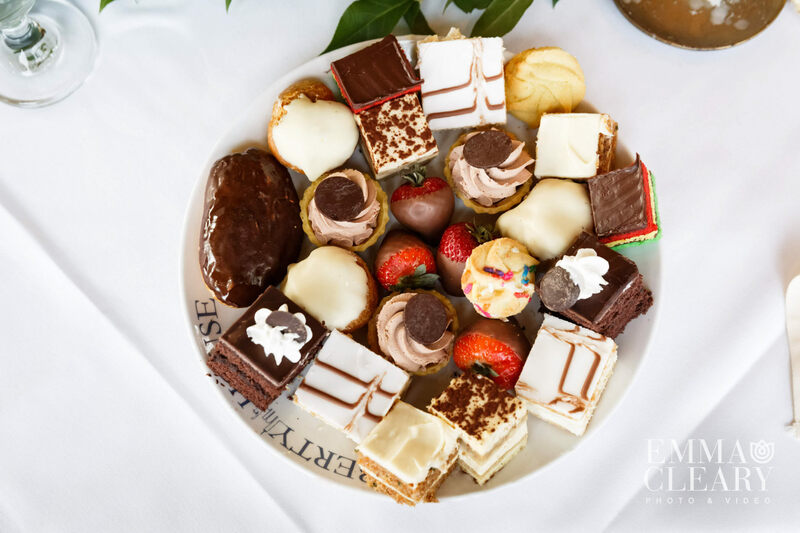 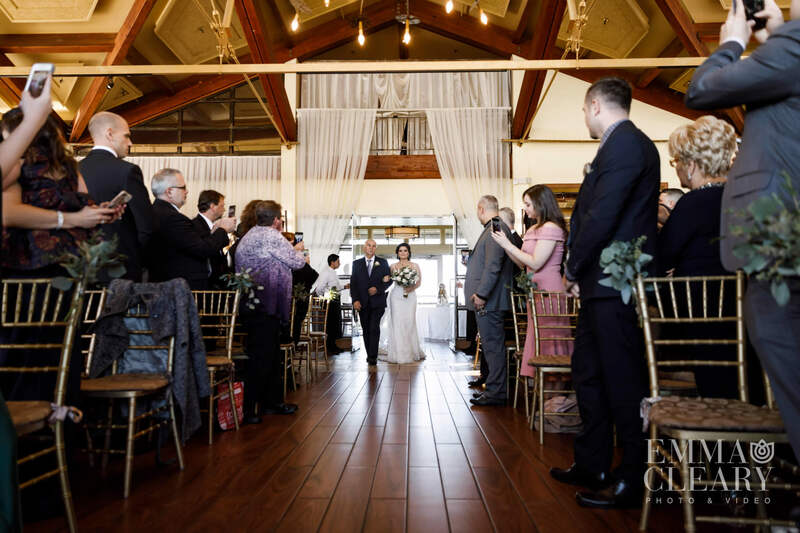 We had a lovely time shooting this winter wedding at Liberty House in Jersey City, New Jersey. 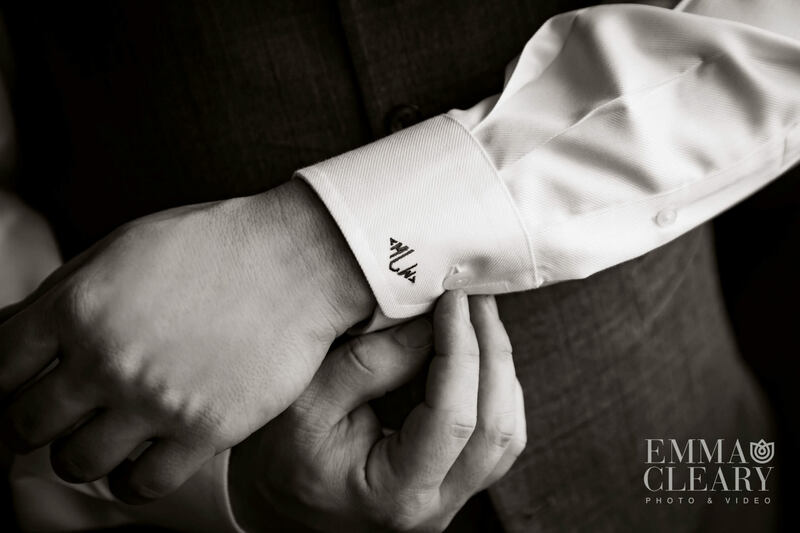 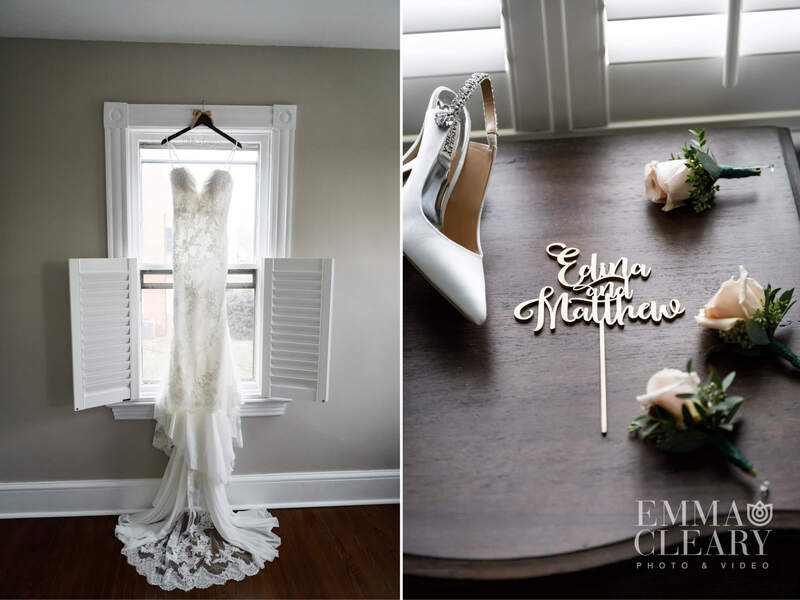 Edina and Matthew got ready at their respective homes surrounded by family. 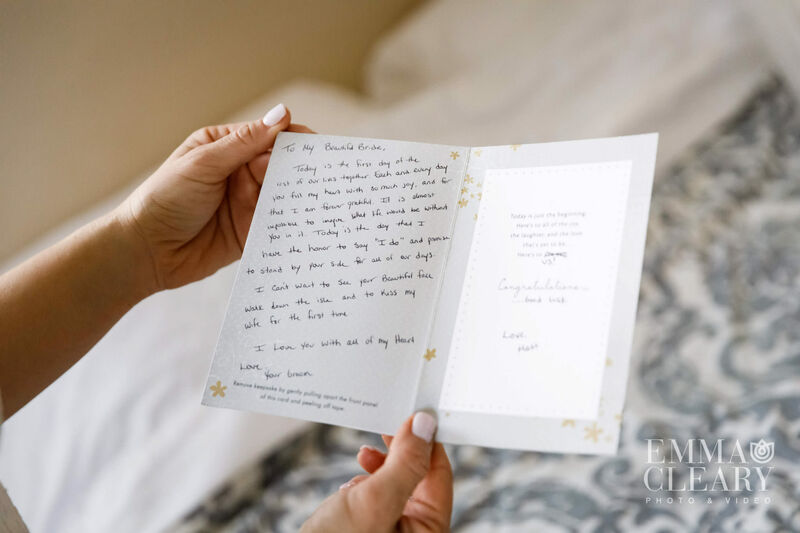 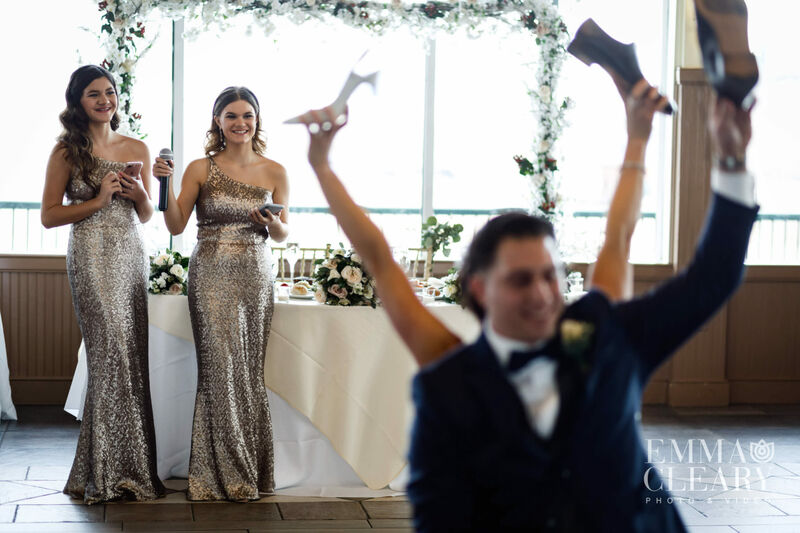 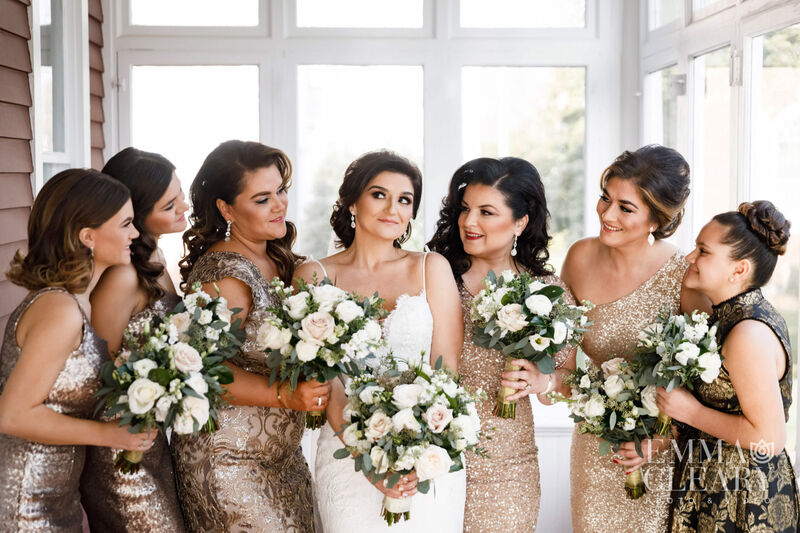 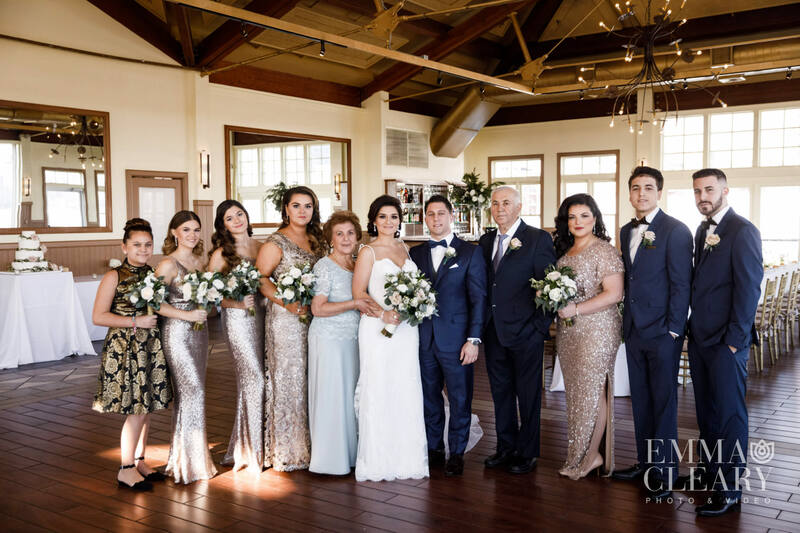 Edina’s sisters and best friend made up her bridal party, and they wore gold sequined dresses, which added a lovely sparkle to this holiday season wedding. 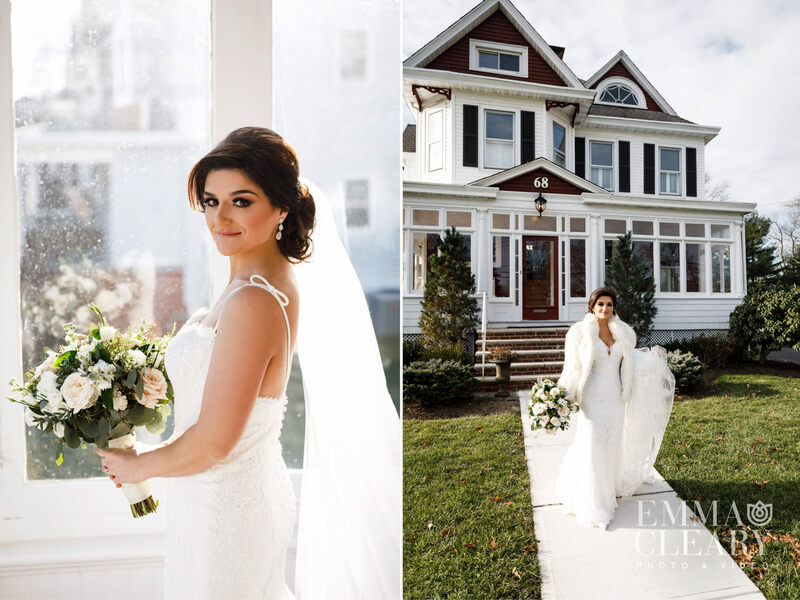 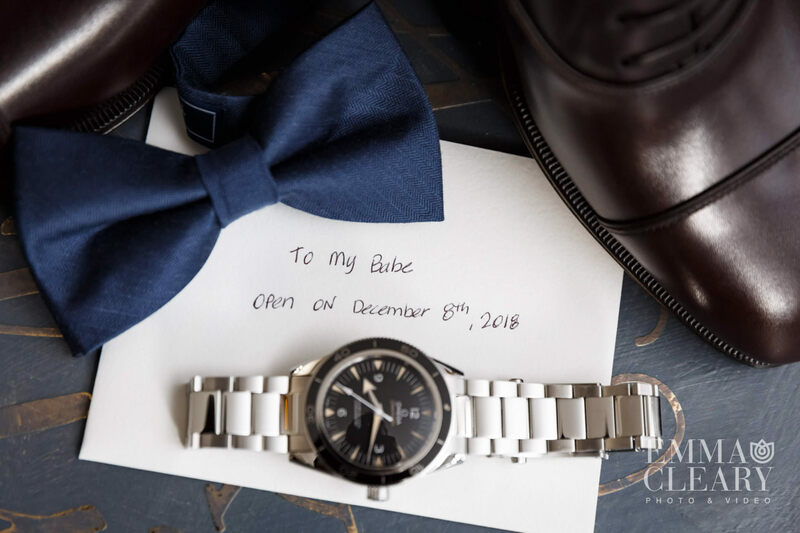 Emma and Joseph arrived at the couple’s beautiful new home bright and early to capture the preparations. 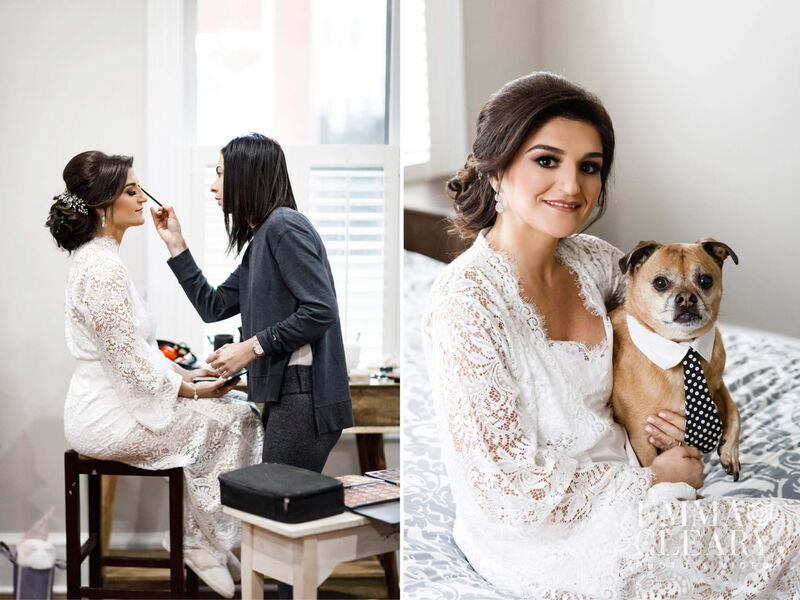 Their home was spacious and filled with light, which created striking photographs. 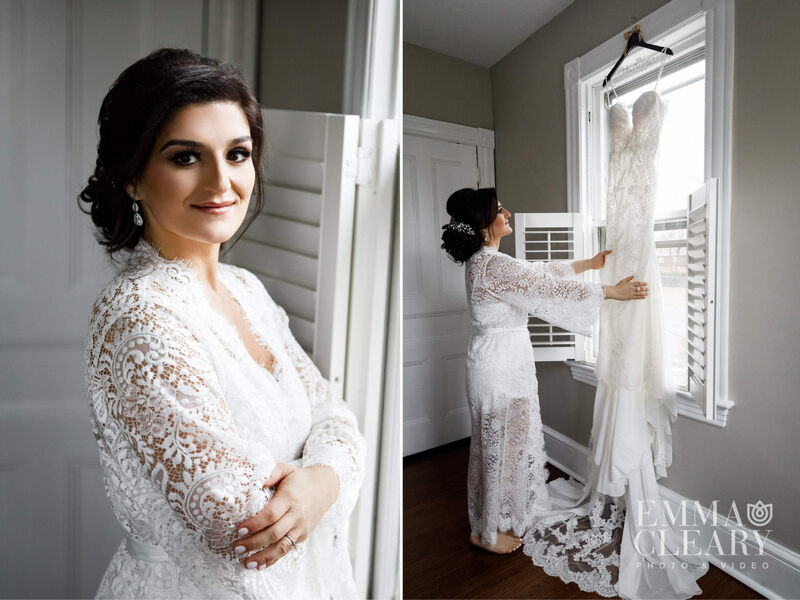 We hung Edina’s wedding dress on her bedroom window, where we were able to capture sentimental photos in the natural light. 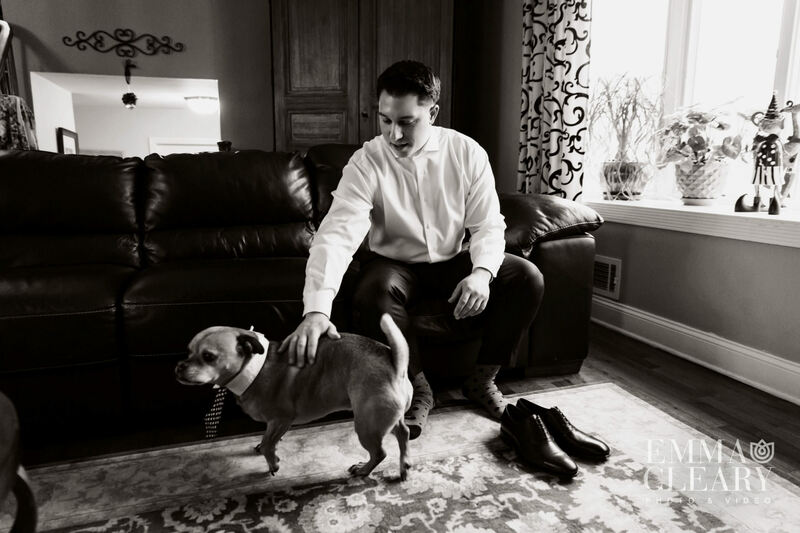 Edina’s dog made a special appearance before he headed over to Matt’s house for his cameo there. 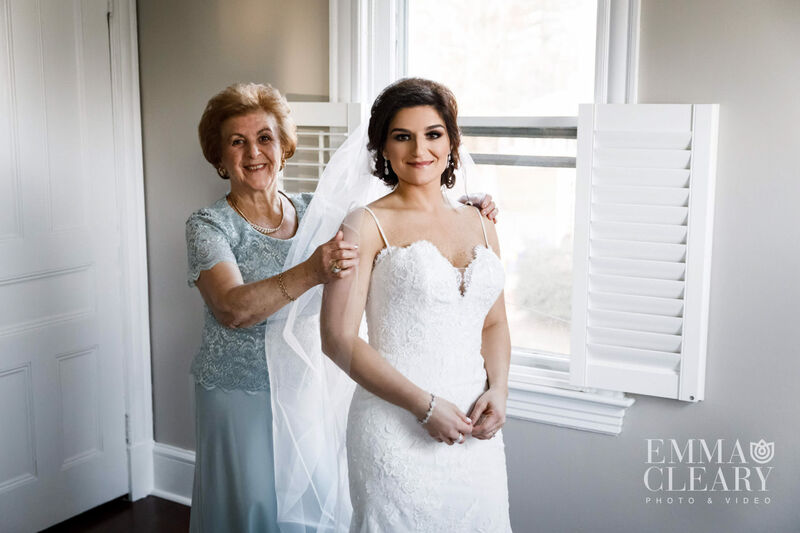 After some heartwarming moments with her mom and dad, we photographed Edina outside her home and then made our way to Liberty House for the wedding ceremony. 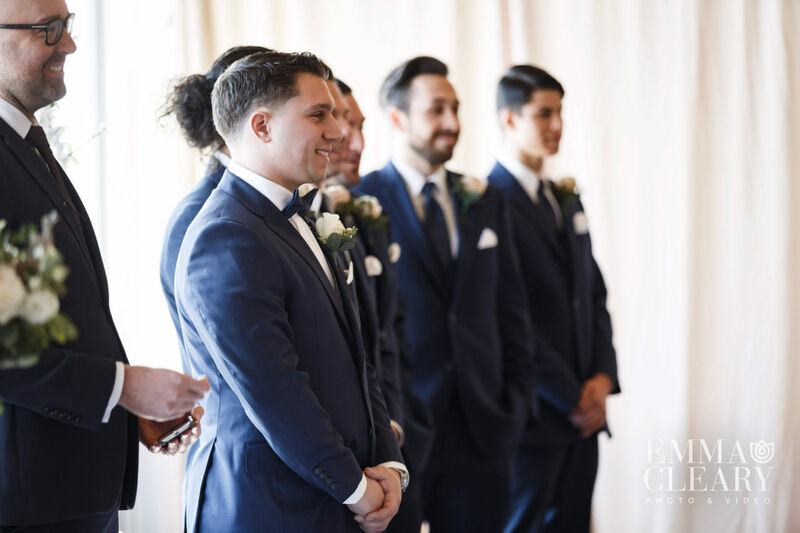 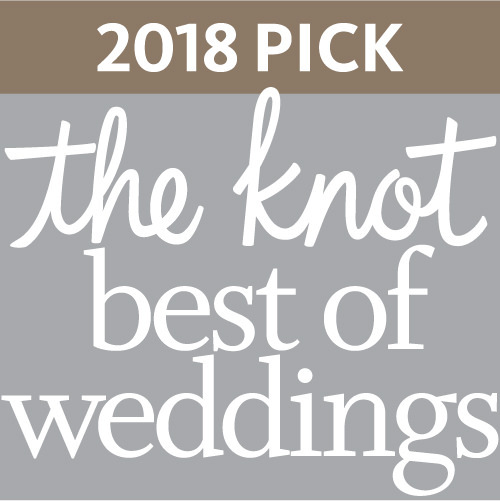 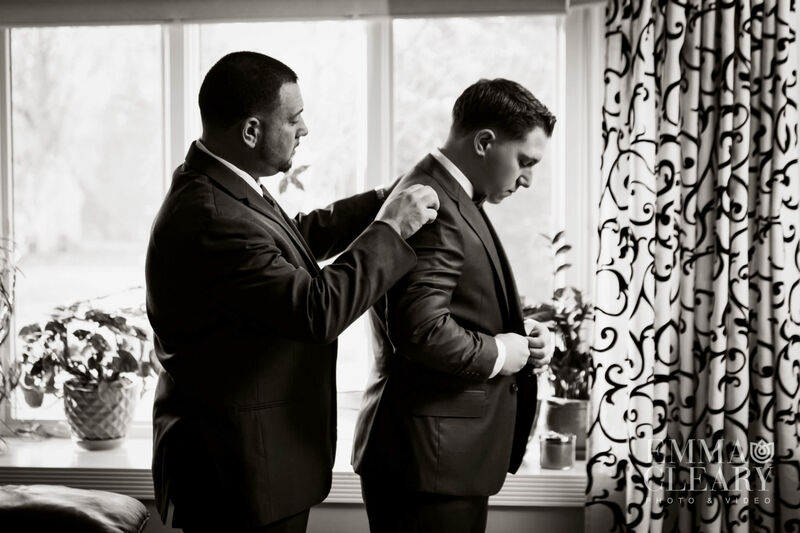 Matthew saw his bride at the aisle for the first time, and theirs was a heartfelt ceremony officiated by a close friend of the couple. 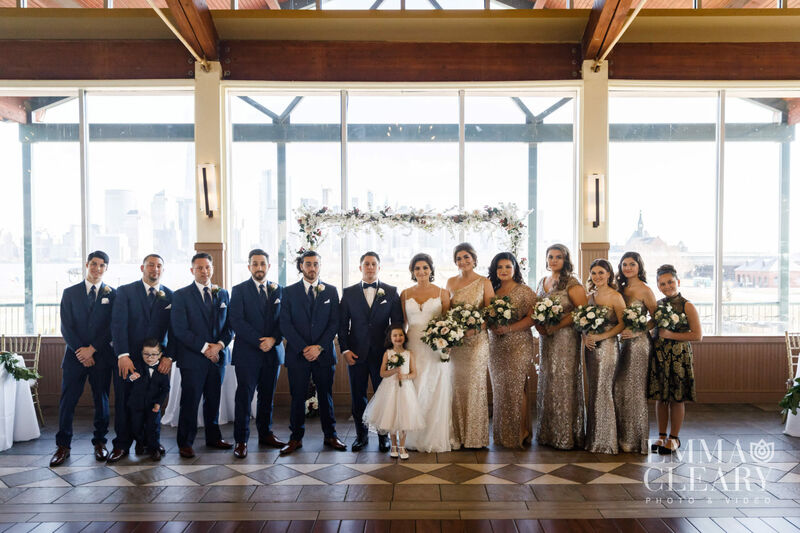 Many of the bridal party and family portraits took place during cocktail hour in the Ballroom at Liberty House. 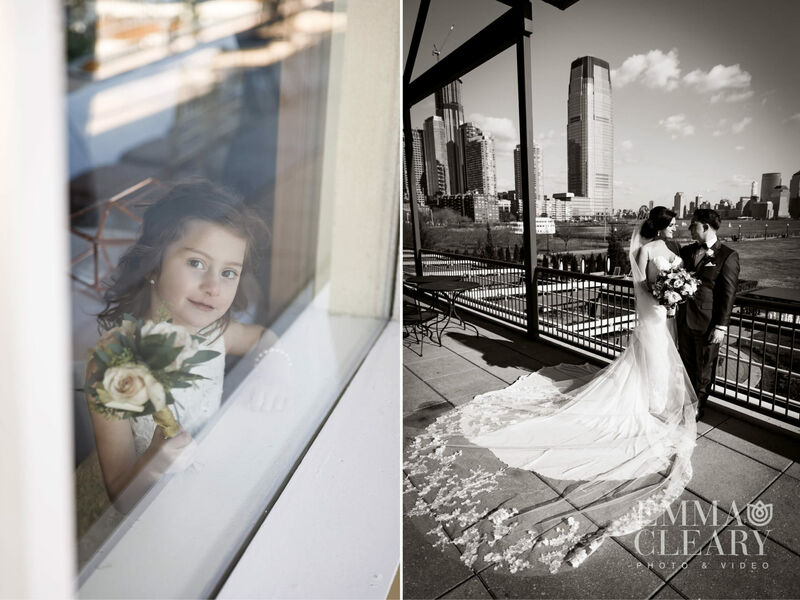 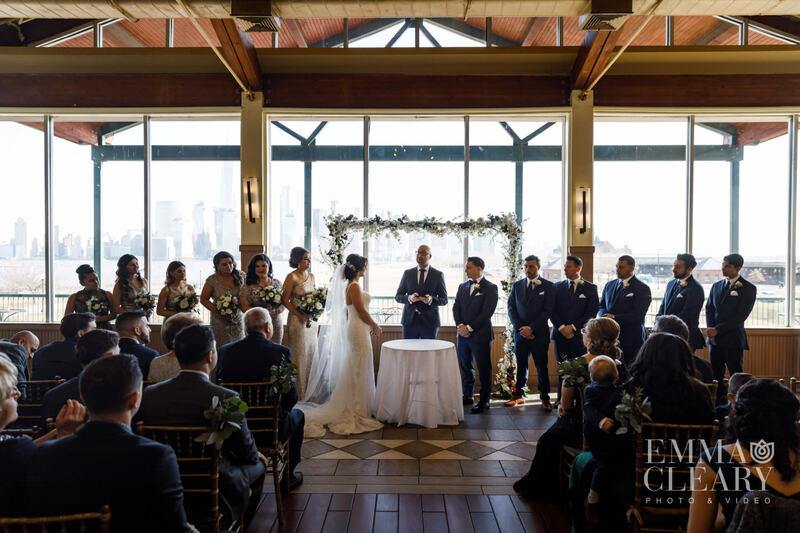 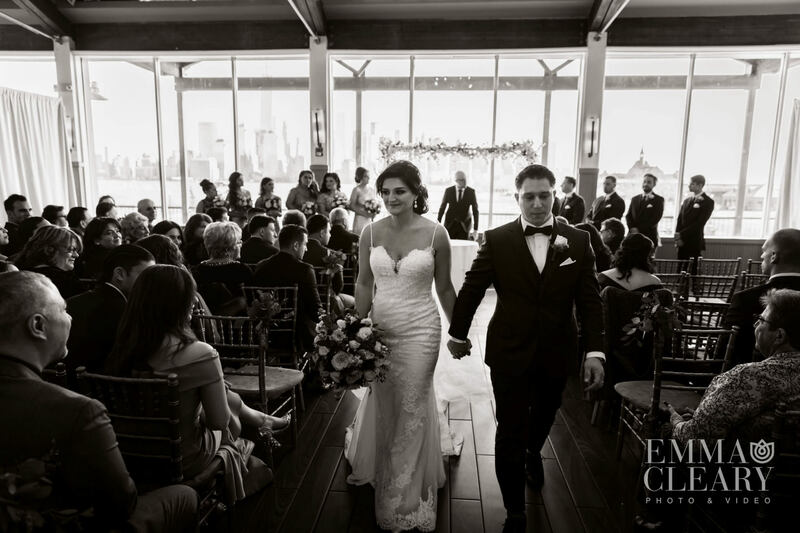 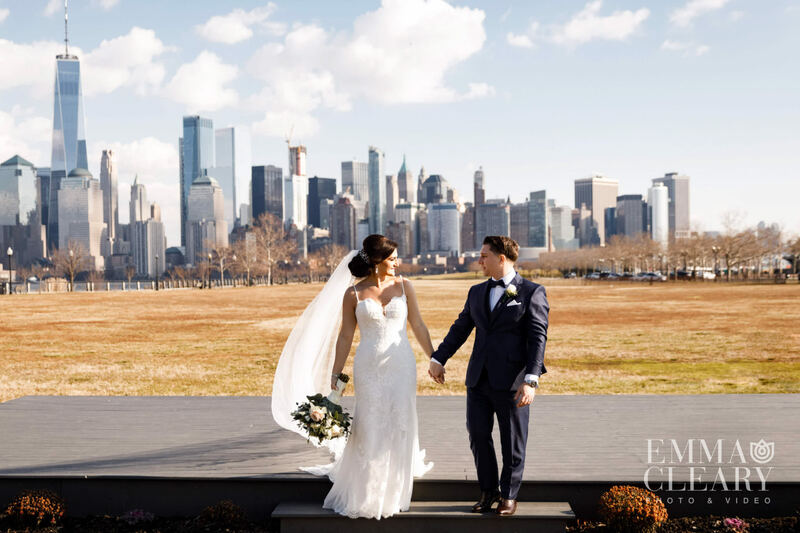 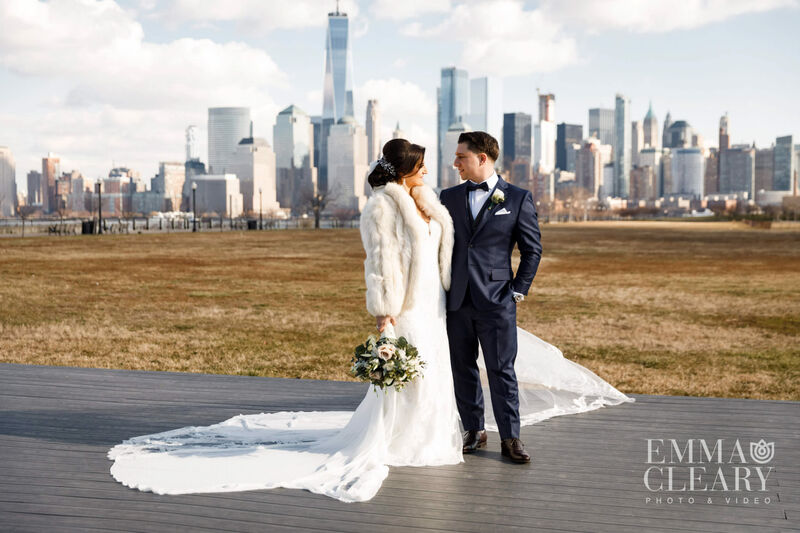 We also captured some great images of the couple on the balcony overlooking the gorgeous view of New York City. 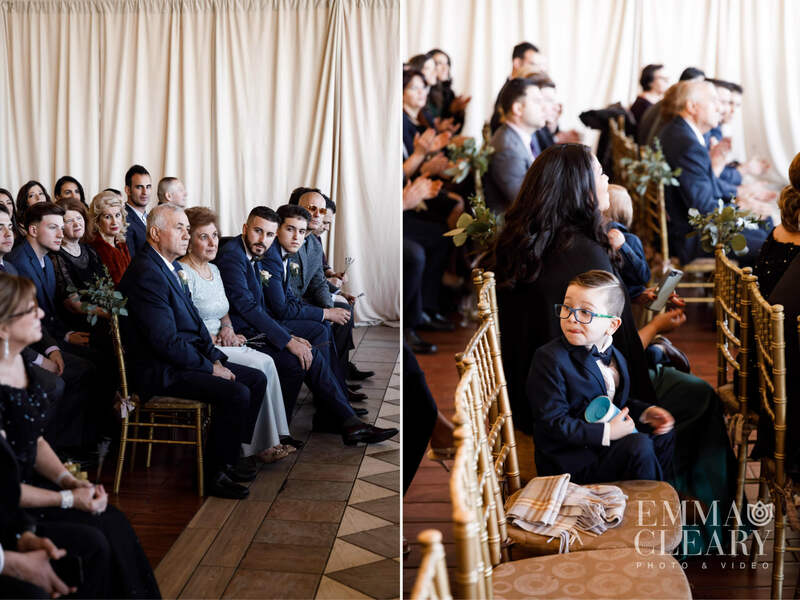 The reception was thoroughly enjoyed by all who attended. 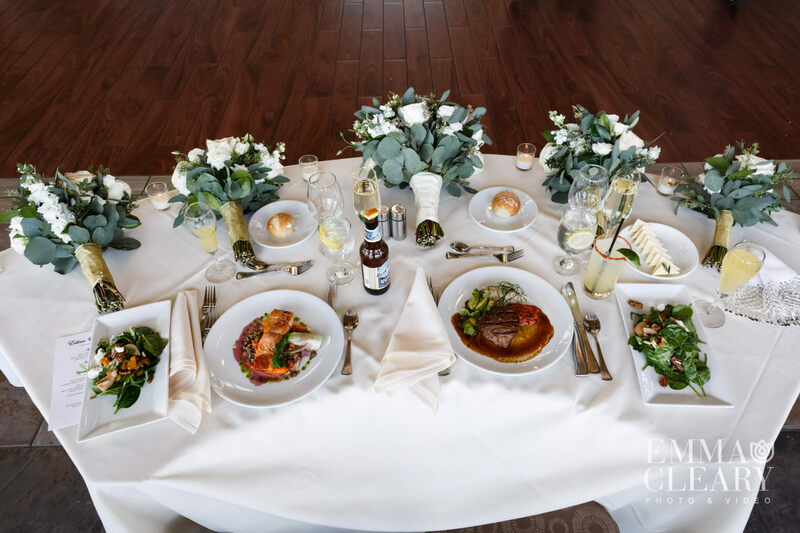 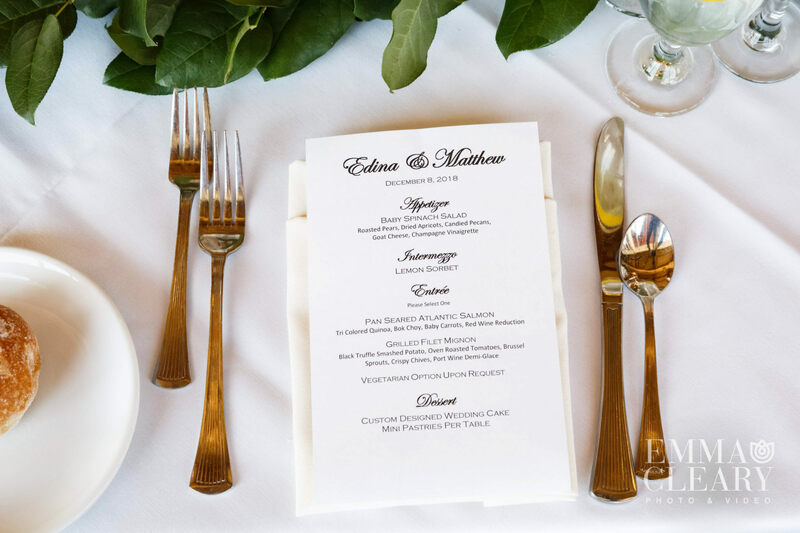 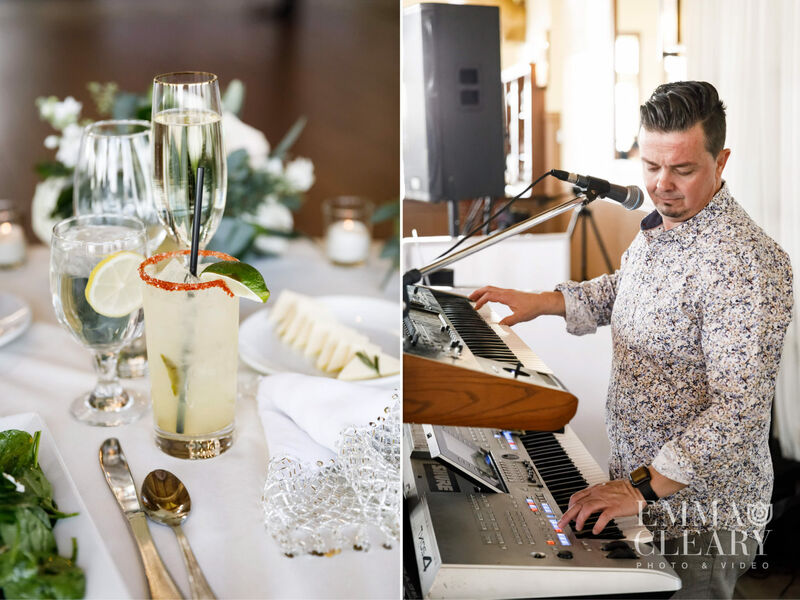 Edina and Matt’s florist decorated the venue with lovely arrangements and their tablescapes were incredible. 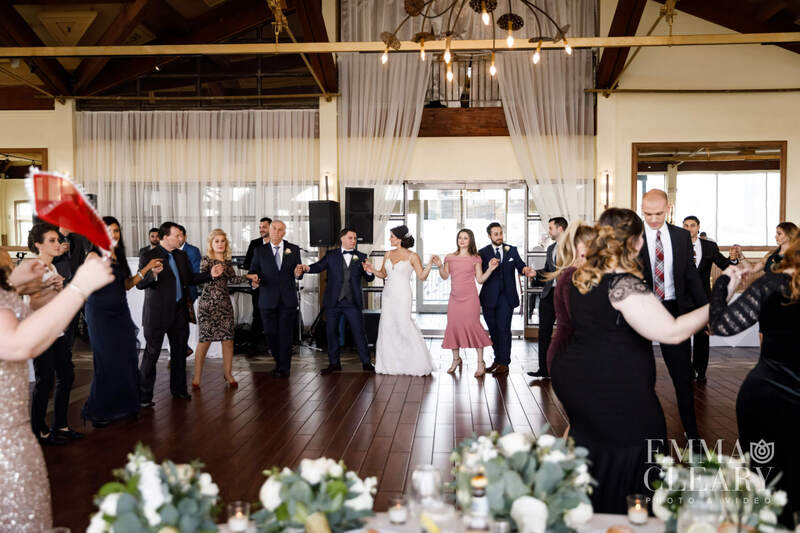 Liberty House catered a delicious meal and guests danced to a mixture of American and Albanian music. 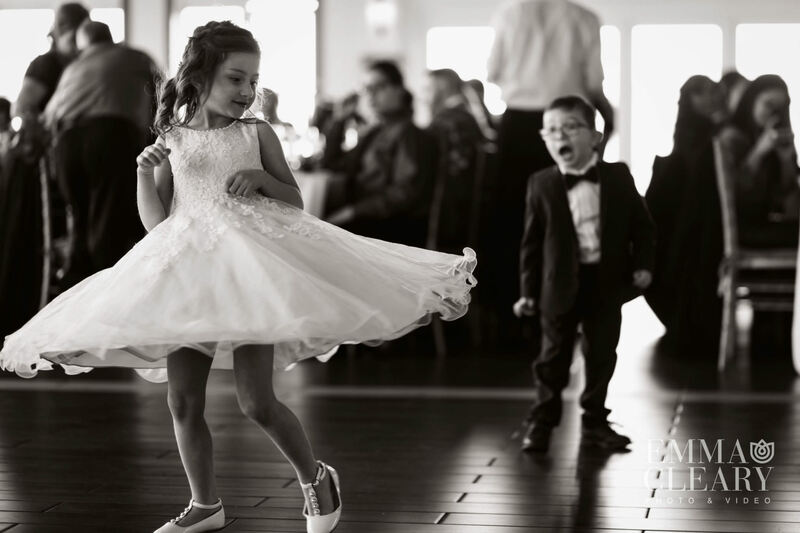 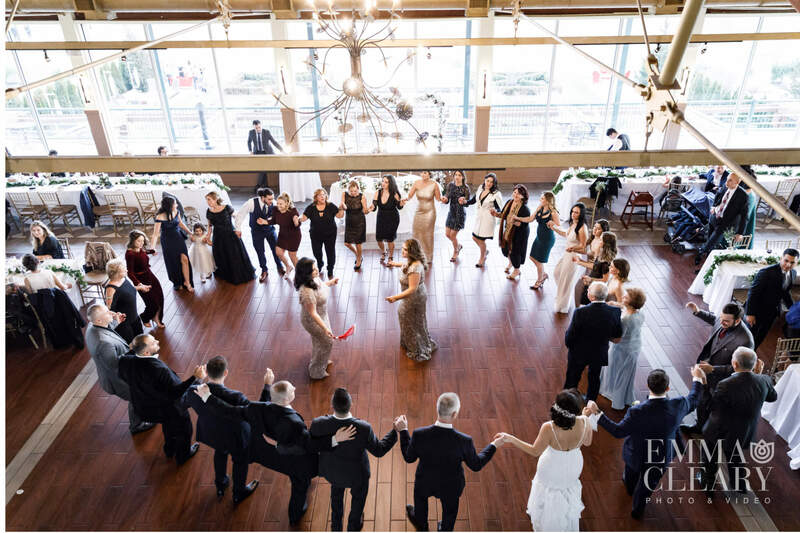 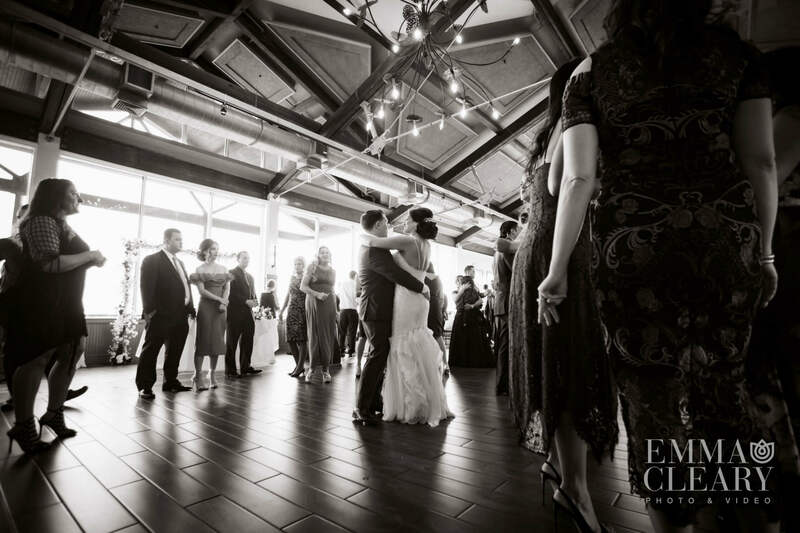 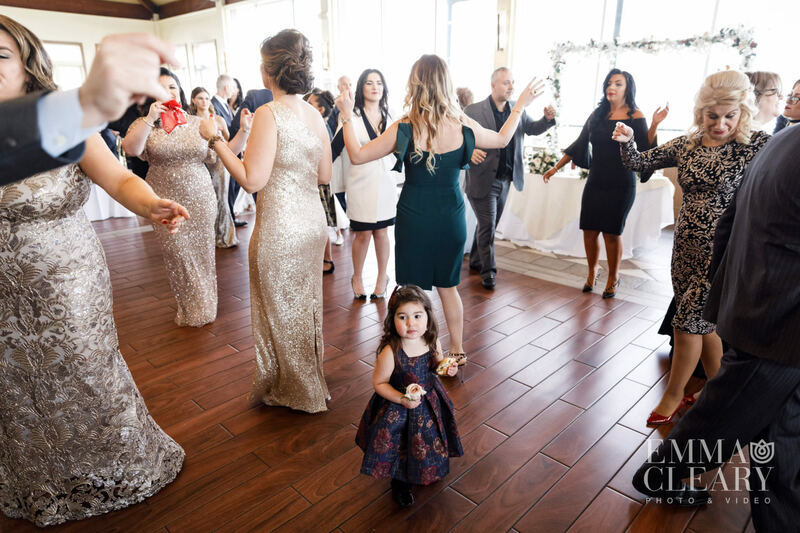 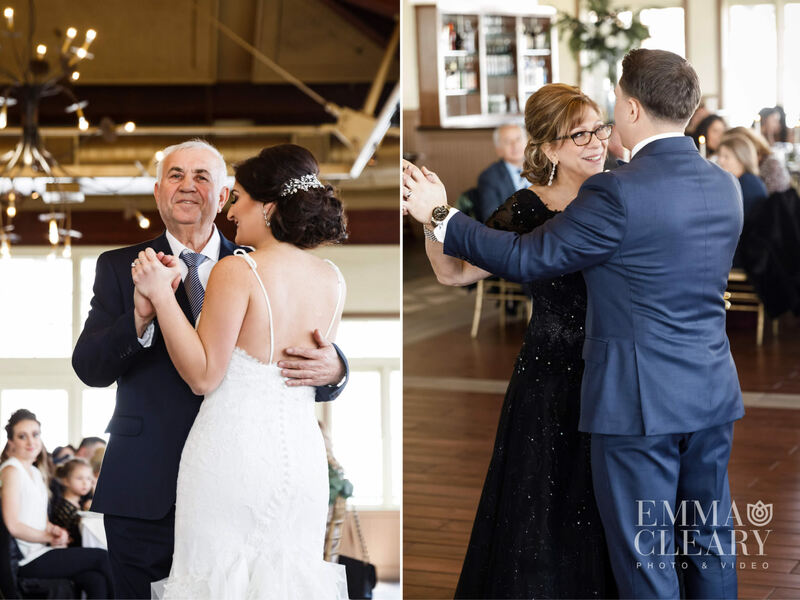 Emma and Massimo were sure to take plenty of fun shots on the dance floor, as well as some aerial views of the guests dancing from the balcony. 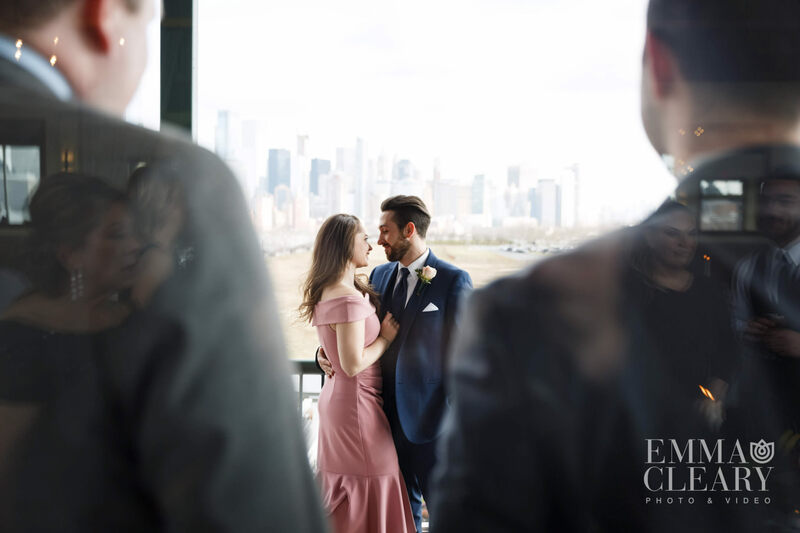 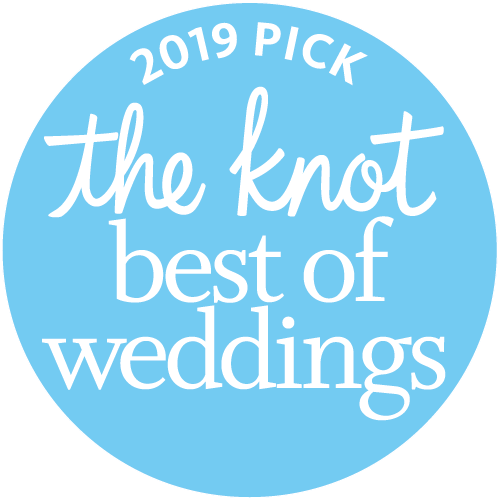 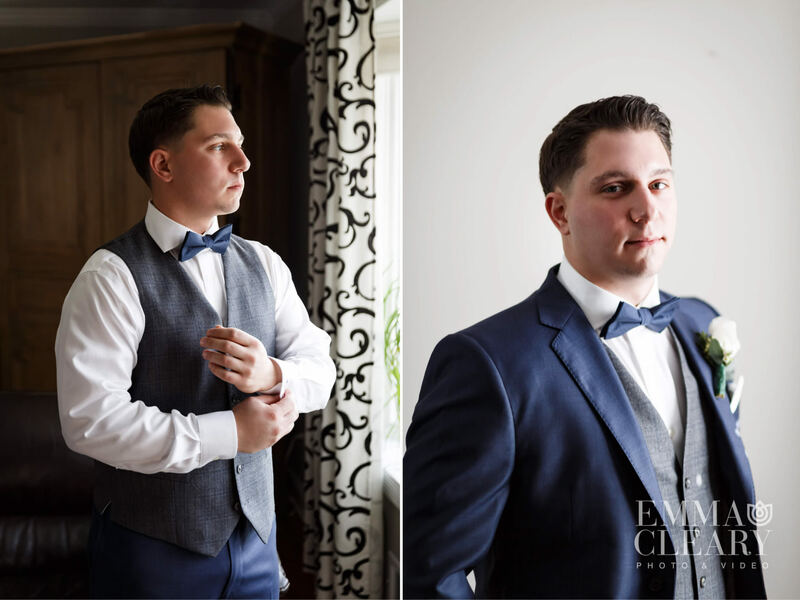 Edina and Matt ended their day with love in their hearts and many special photos and videos to remember their wedding.